Please note: The report body is unavailable for download due to file corruption. Study issues related to the safety of students, teachers and visitors on public school campuses, and, if necessary, make recommendations for legislative action. The Committee should determine the amount and sources of funds spent on security efforts; consider the accountability of security officers and police officers on campuses; and review the reporting of security practices to appropriate education and law enforcement officials. Review the availability of drug and alcohol prevention and treatment services to students in public schools, and consider whether legislative action is necessary. The Committee should consider the services provided by schools, the amount and sources of available funds, and the existence and implementation of standards to determine the effectiveness of the services. Evaluate programs and services in public schools to assist students with dyslexia, hearing difficulties, or vision problems to determine whether any improvements are needed. Evaluate bilingual education efforts in public schools to determine the impact of such efforts. 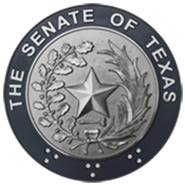 SB 148 relating to the applicability of the Texas Academic Skills Program (TASP).